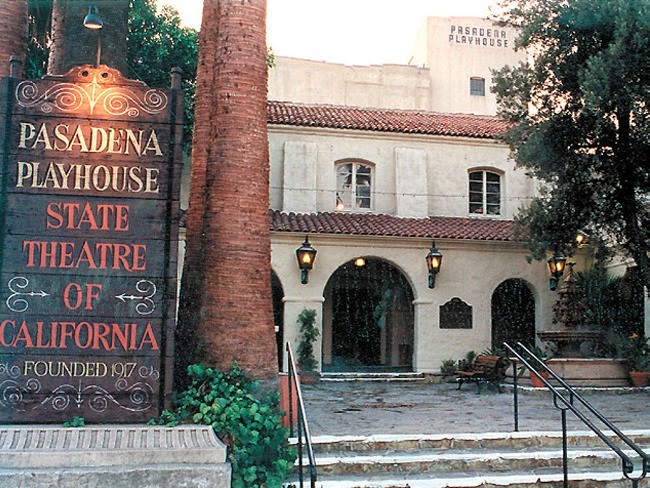 Last night we went to the Pasadena Playhouse and beforehand to drinks and hors d'oeuvres at our favorite restaurant. I thought that dots would be the perfect accompaniment for the evening out. Originally when I saw this dress (the "Blurred V-neck" dress) from LOFT I thought it would be a very versatile dress; suitable for both work and going out. From the picture online, it looked to have a modest length and didn't appear to show too much "on top". Well, when it arrived in the mail and I finally tried it on, it seemed to fit me very differently, but I still liked it, and thus it was relegated to strictly "going out" wear. In other words, perfect for a night out on the town, but not so appropriate for going to work. 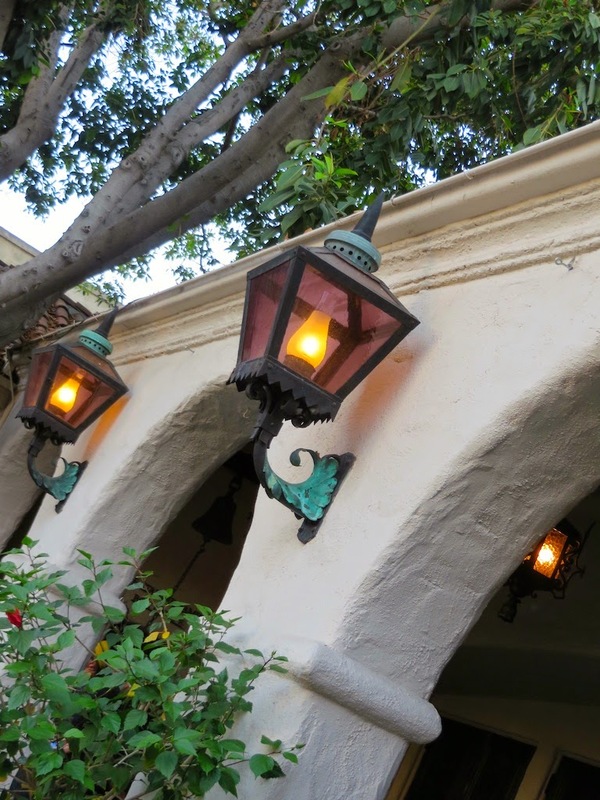 Below you will see some pictures of the gorgeous Pasadena Playhouse. It is a very small theater done in a Spanish Colonial Revival style, which I happen to rather like. The architect Elmer Grey designed it and its construction was completed in 1925. 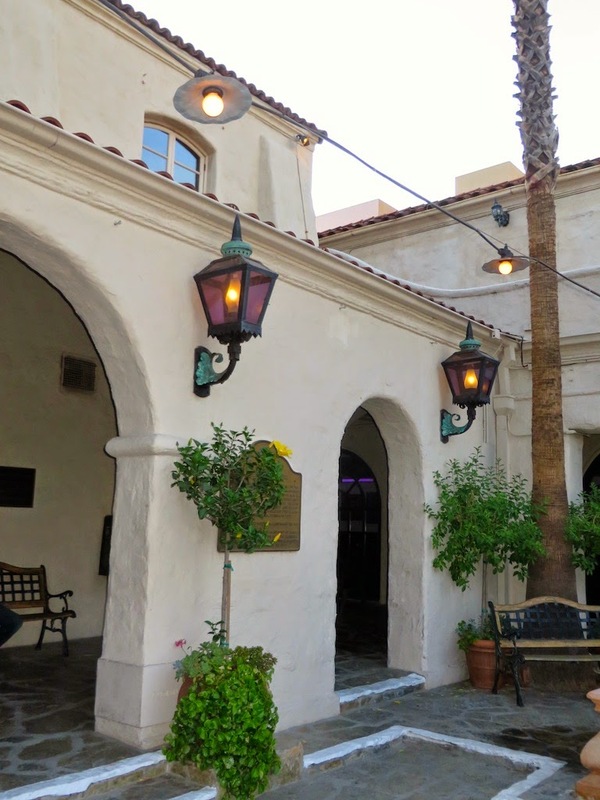 Upon researching the theater I was delighted to find out that playwright George Bernard Shaw dubbed Pasadena as the "Athens of the West" due in part to its cultural monuments such as the playhouse. I love the city of Pasadena, as it is truly a small gem tucked away in Los Angeles, so I was quite in agreement with the sentiments of Shaw. If you are ever in Pasadena, this is definitely a most see location. Above are a few of the pictures I took. 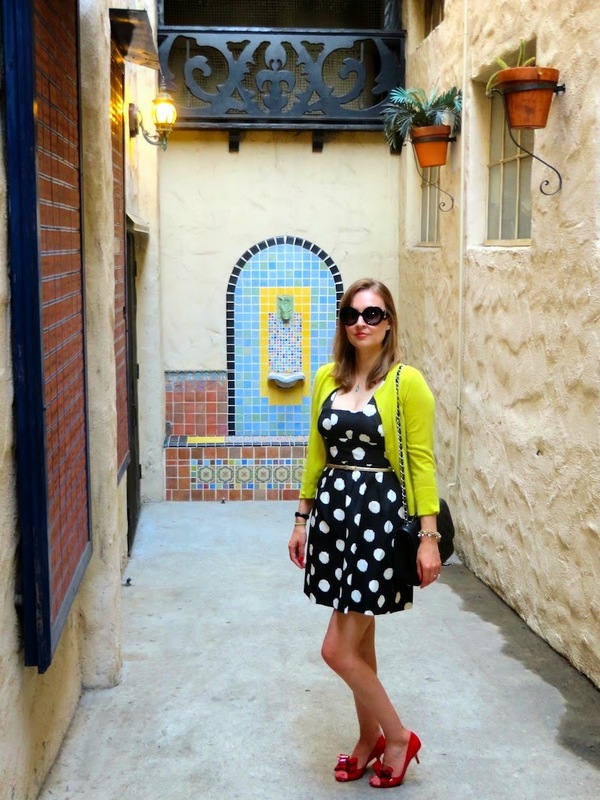 I also found this quaint little alley tucked away on the side of the Playhouse. 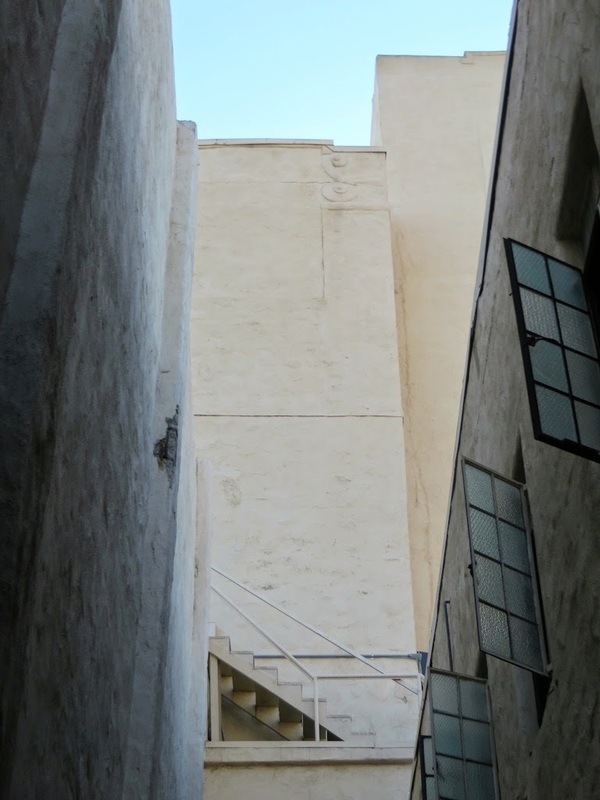 I guess I am really good at seeking out quint alleys with unique architectural features! On sort of a side note, I had my hair cut this week. I cut probably about 4 inches off, and it makes me feel a little "naked" without my long locks. You probably wouldn't notice, because most of the time I wear my hair up, but bellow is a picture of me posing in the alley and showcasing my new "do". Katie, you look lovely! That alley is just gorgeous and I love your haircut! Thank you Laura! I am still trying to get used to the haircut. Although it's much lower maintenance which is a plus!